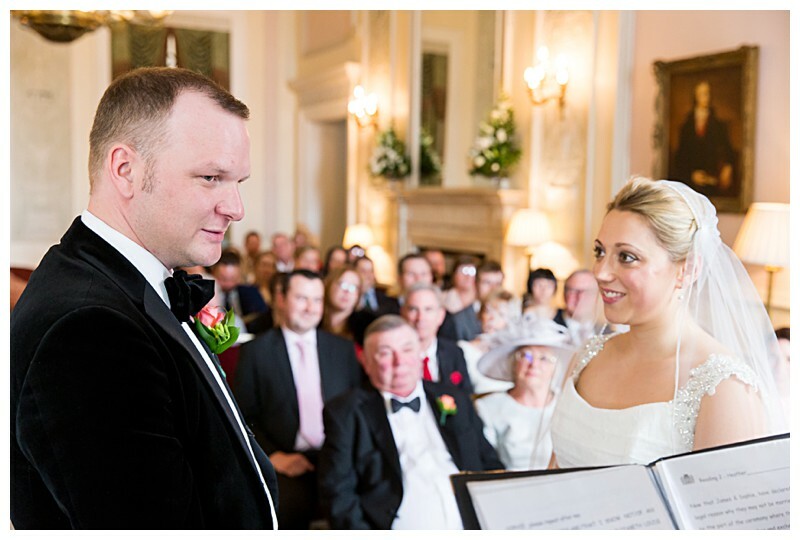 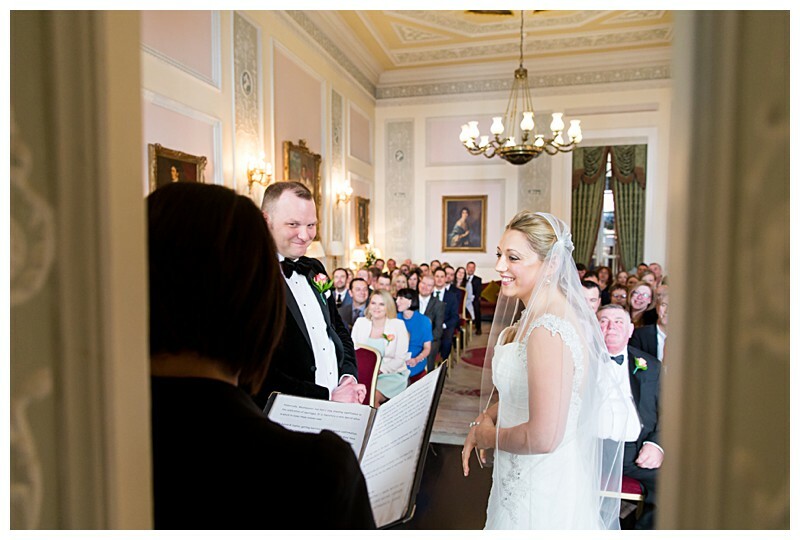 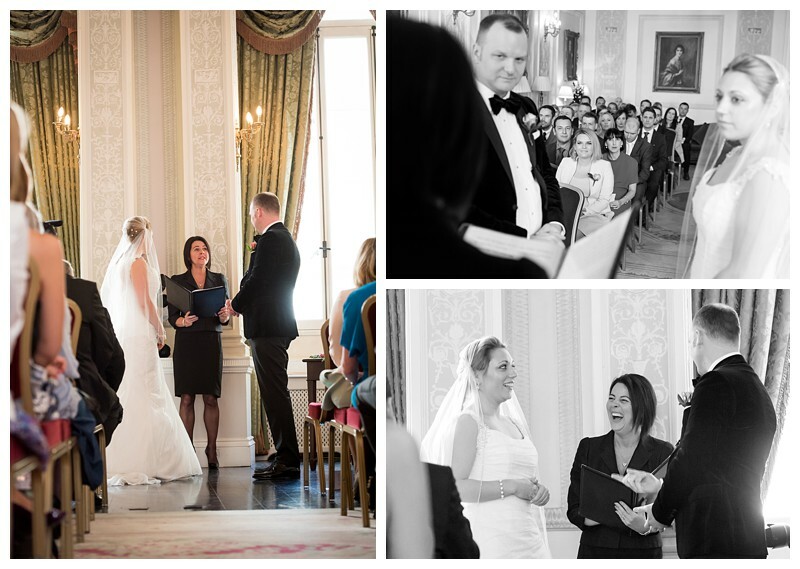 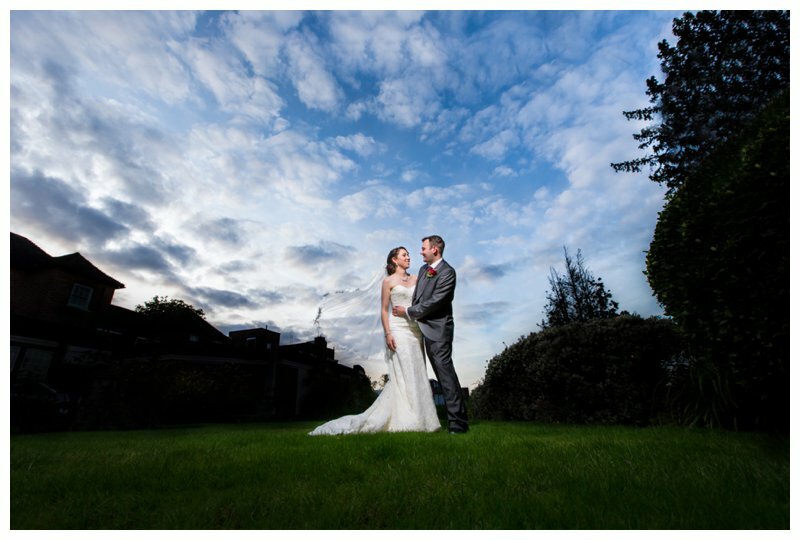 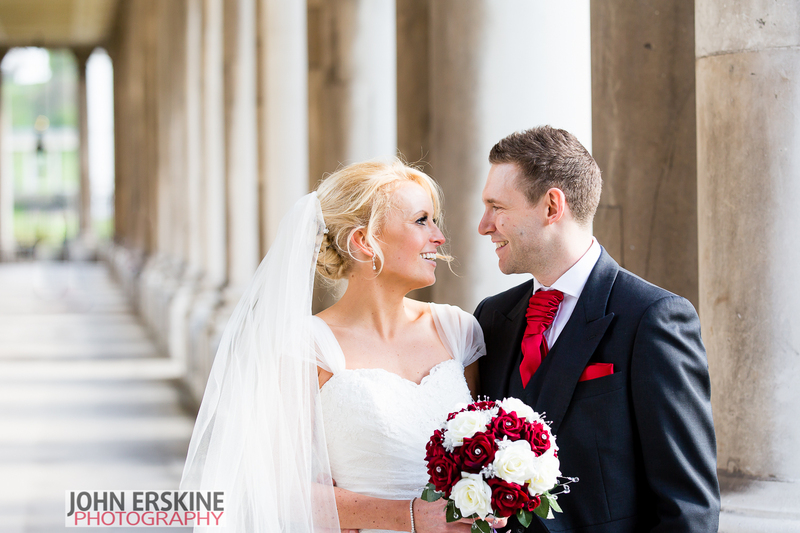 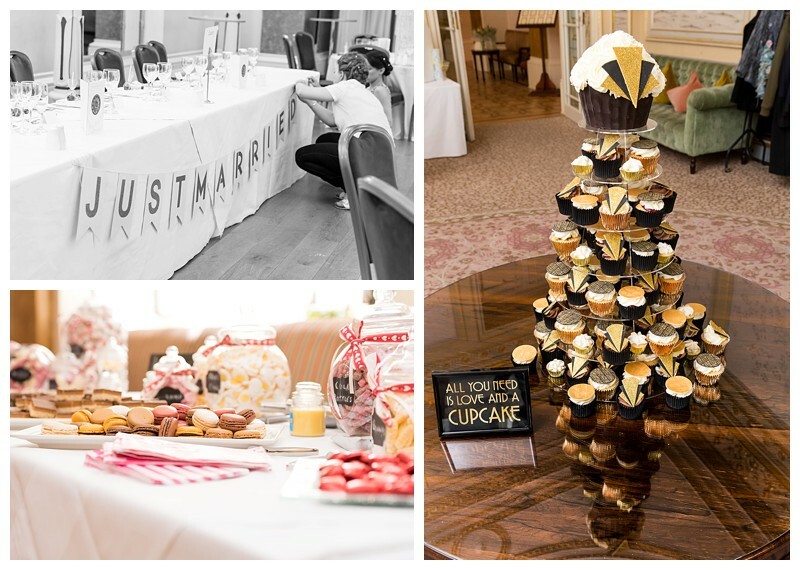 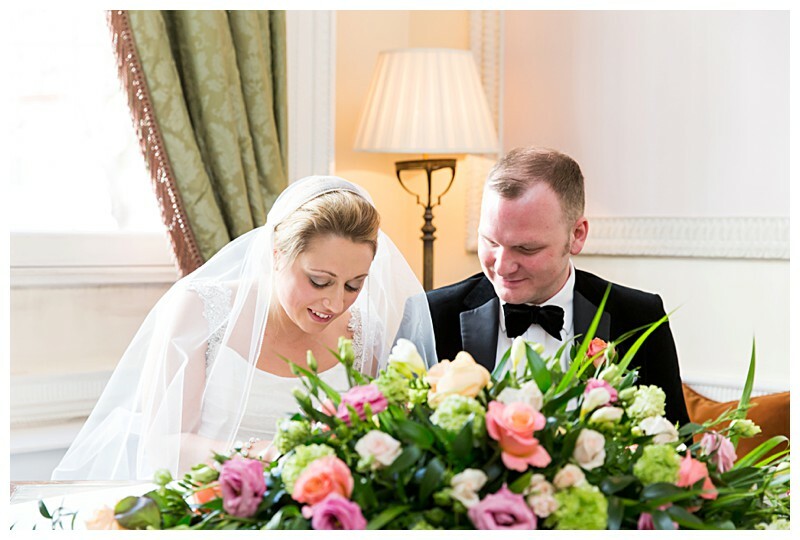 Sophie and James met me at the ExCel Wedding Fair in April 2015 and I was delighted when they got in touch about being their Lansdowne Club Wedding Photographer for their big day at the exclusive Central London Wedding Venue, Lansdowne Club in Bloomsbury. 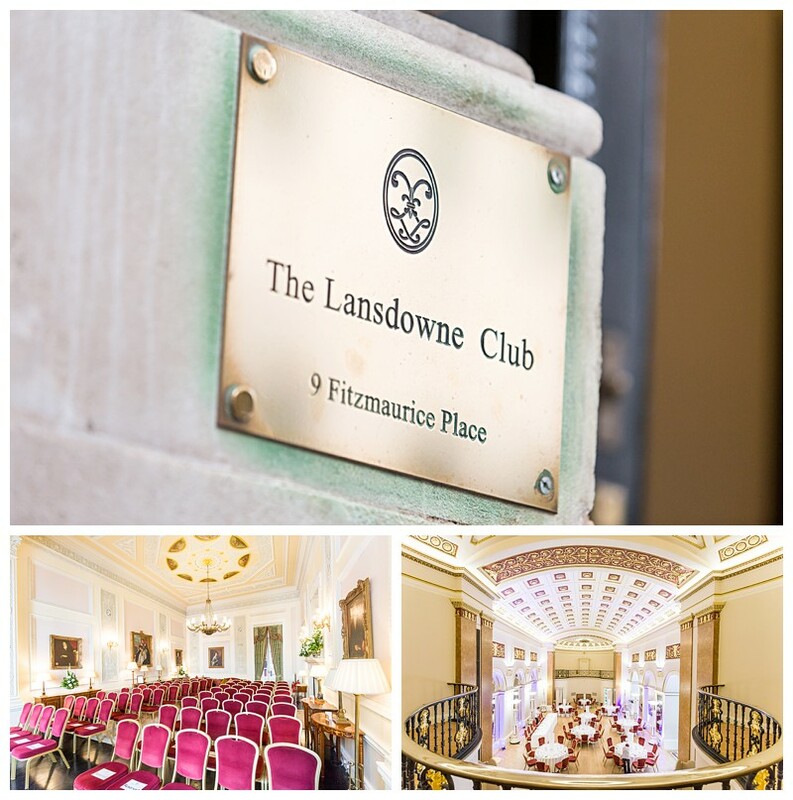 Built in 1763, one of the most Unique Venues of London began its life as a residential house for the Prime Minister Lord Bute. 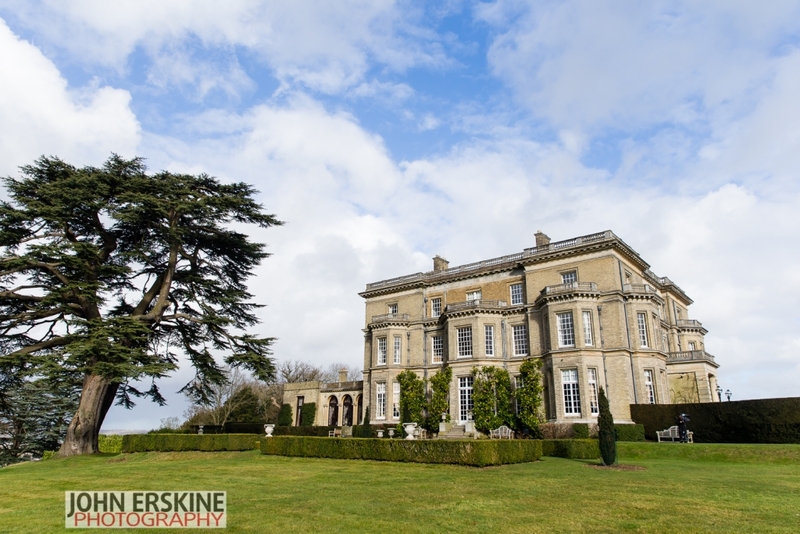 Regular visitors to the house included such literary greats as Lord Byron and Charles Dickens – then in the 1920s, it became Gordon Selfridges residence – the founder of the department store, when it started to become famous for it’s fabulous parties, so is no stranger to photography! 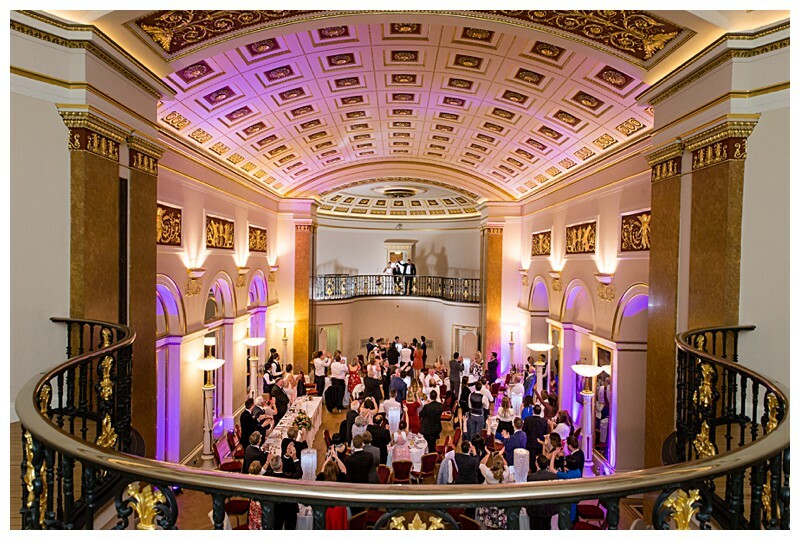 Sophie and James did a fantastic job of really planning the wedding around the stunning architecture and features of the building, incorporating art deco elements in their incredible day. 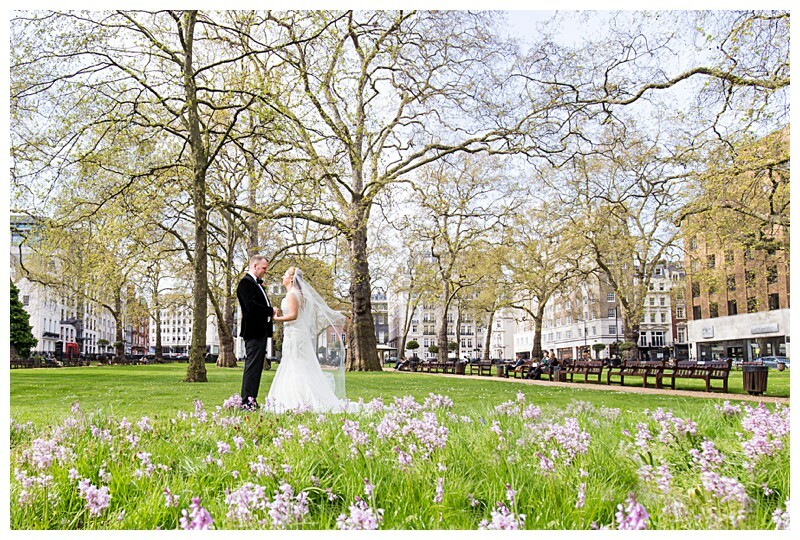 It certainly is one of the Best London Wedding Venues. 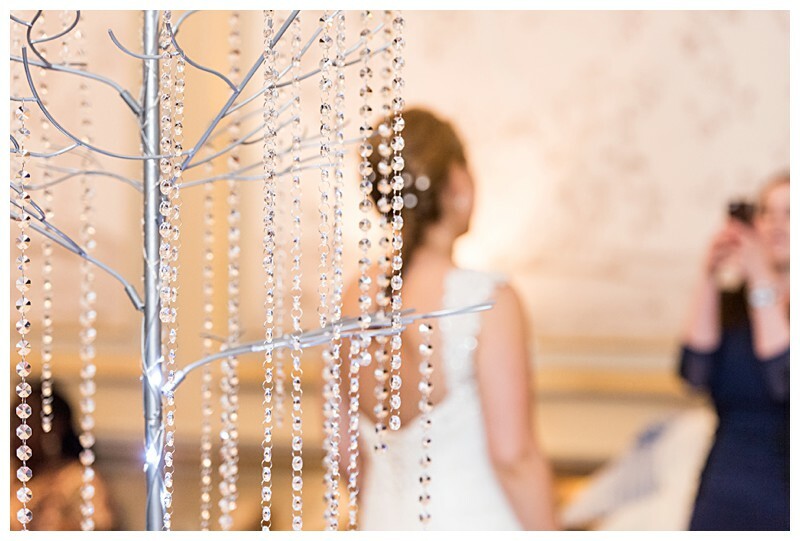 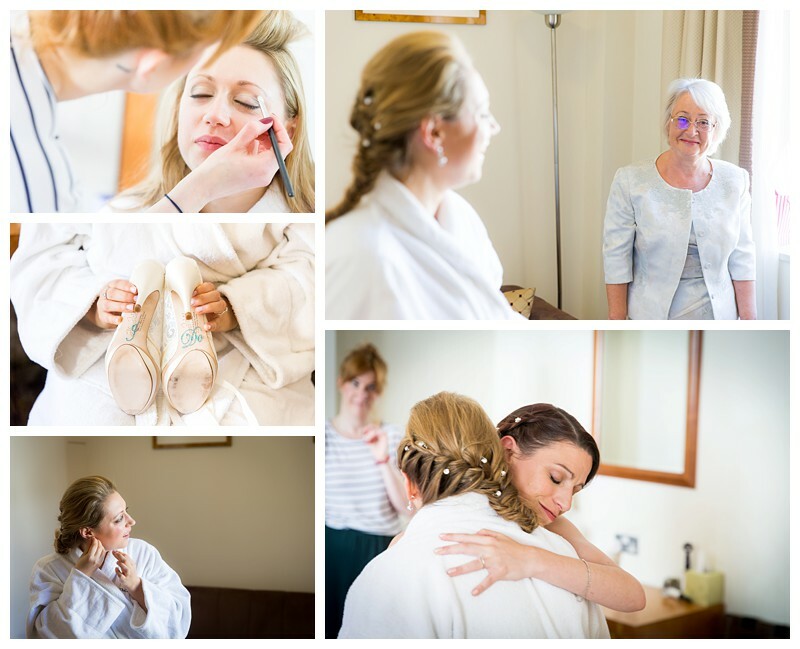 I began my photography coverage with Sophie for bridal prep at the club where, jewellery hiccups notwithstanding, Sophie seemed incredibly serene. 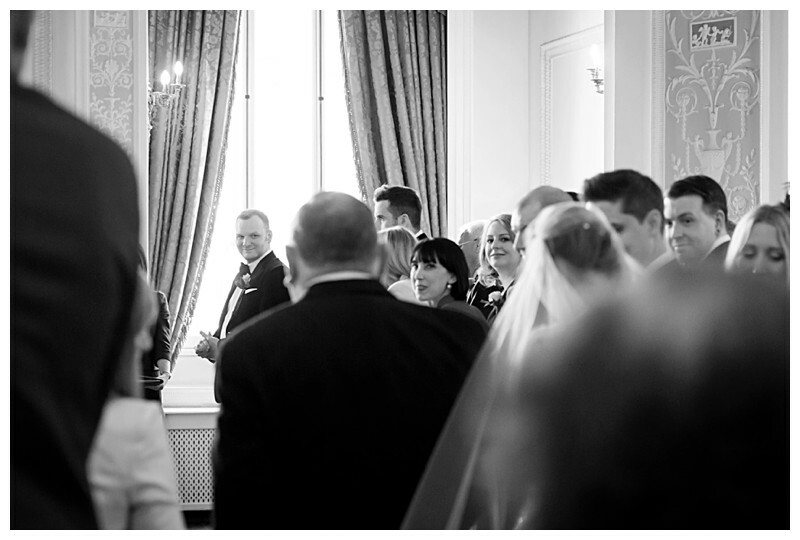 James, not naturally a big lover of the camera certainly couldn’t hide his pride at seeing his stunning bride walking down the aisle with her equally proud father. 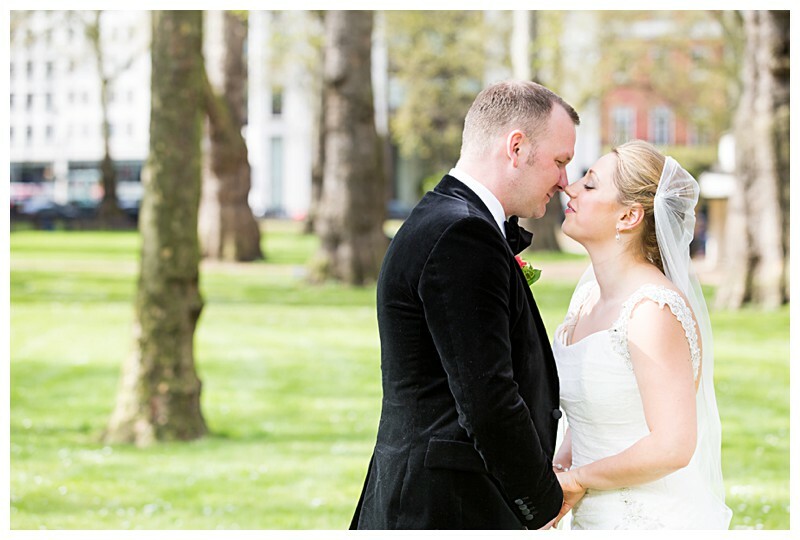 We managed to get outside to Berkeley Square Gardens for a quick few couples’ portraits while the wedding reception warmed up, and Sophie and James made a spectacular entrance into their wedding breakfast via the balcony of the grand ballroom. 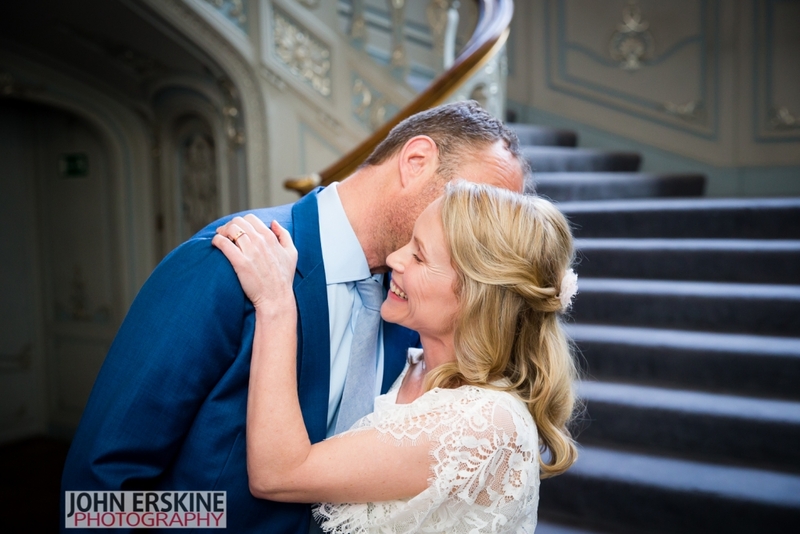 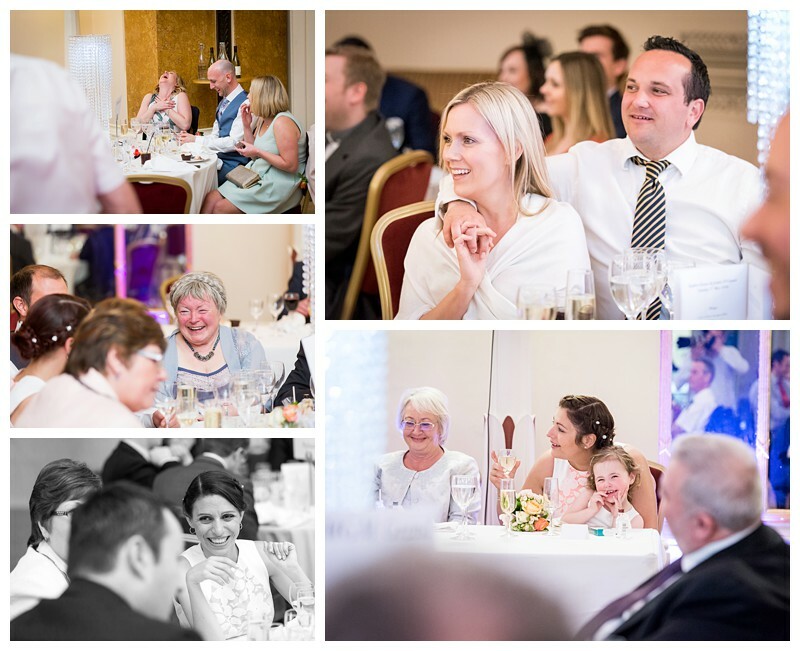 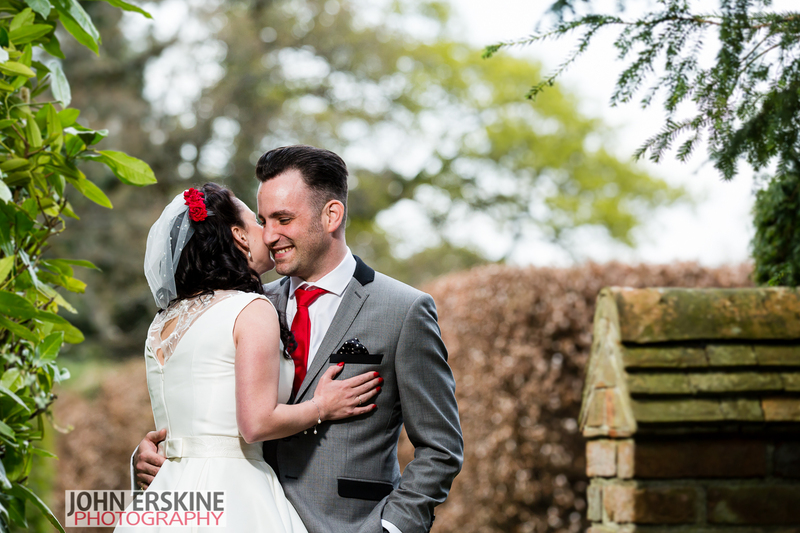 Wishing Sophie and James the very warmest, funniest, luckiest of futures together – thank you for choosing me to be your Lansdowne Club Wedding Photographer. 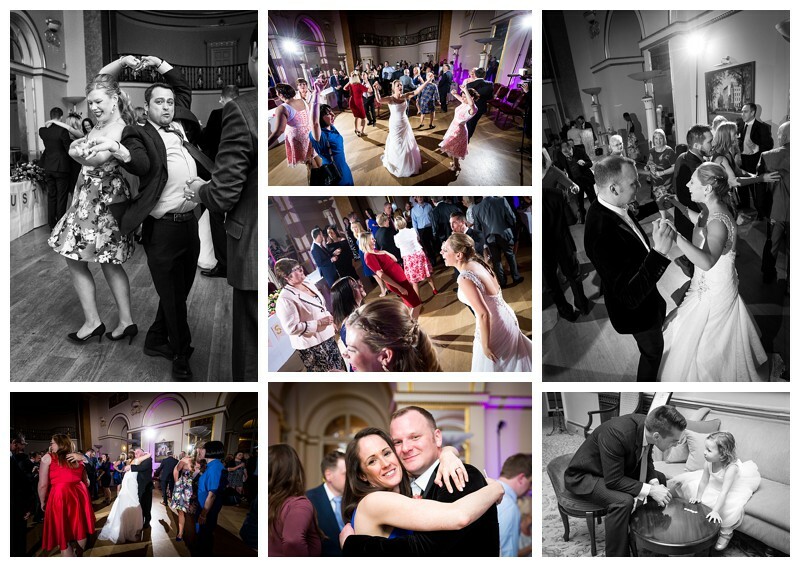 Below are a few of my favourite images from their day – Enjoy! 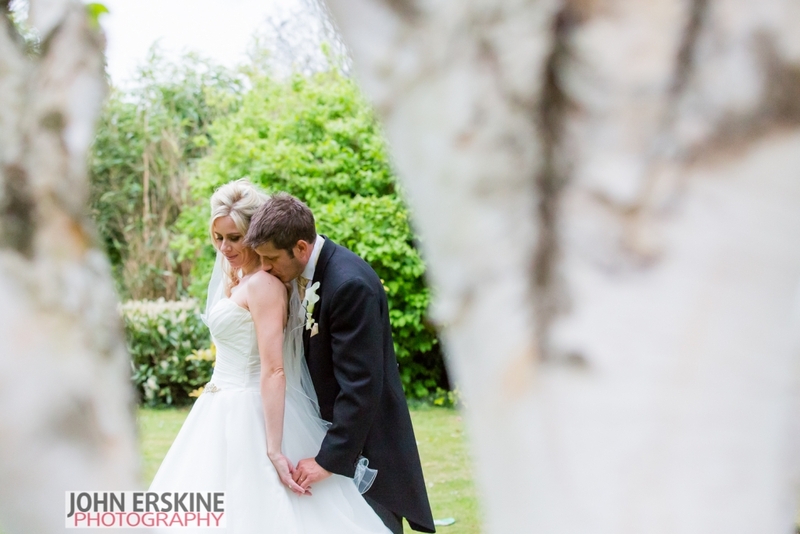 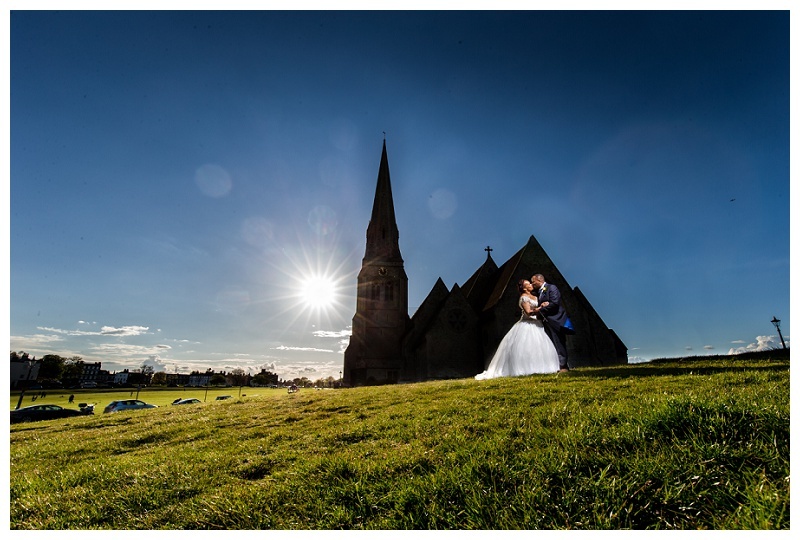 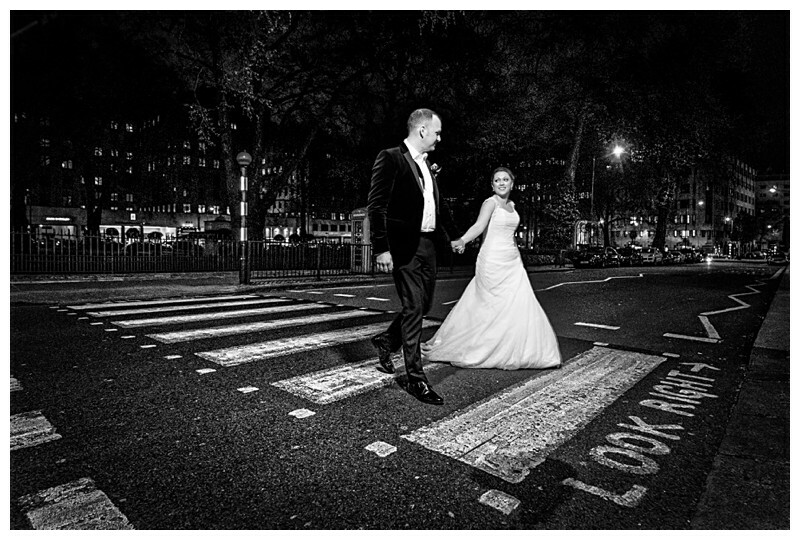 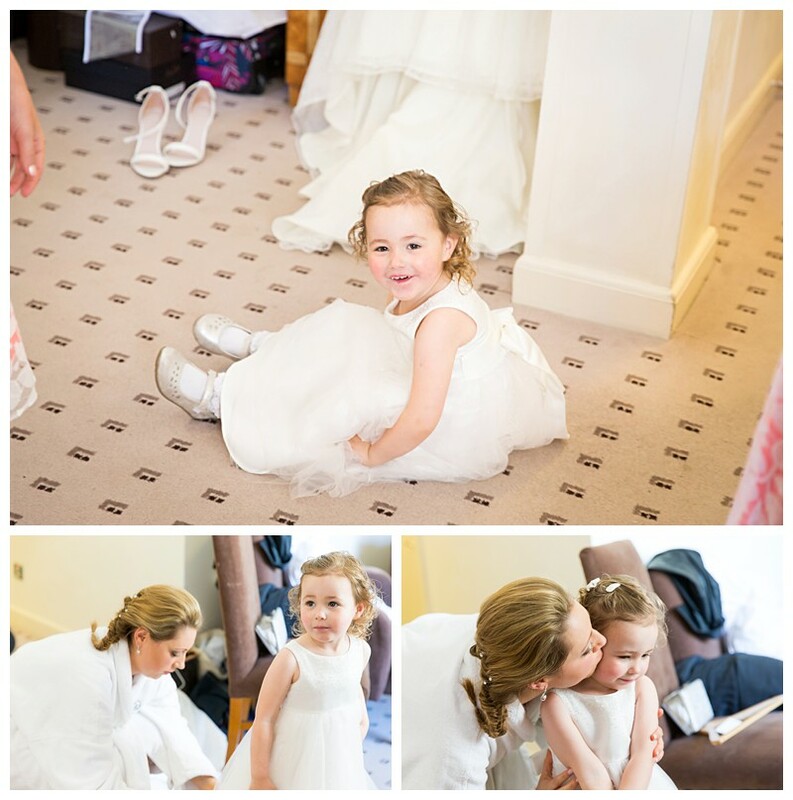 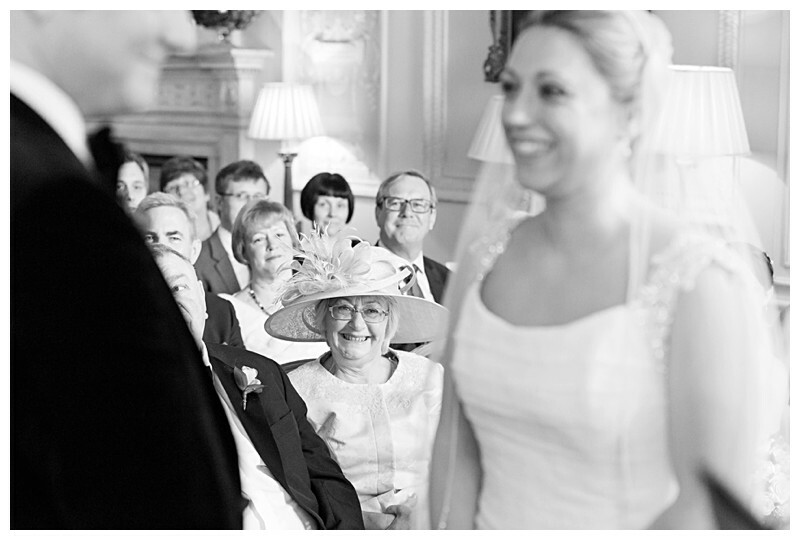 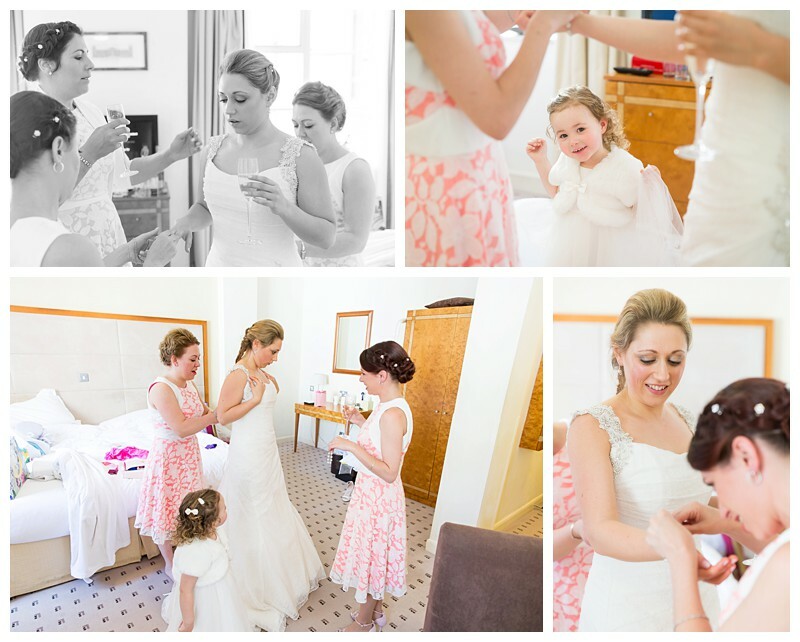 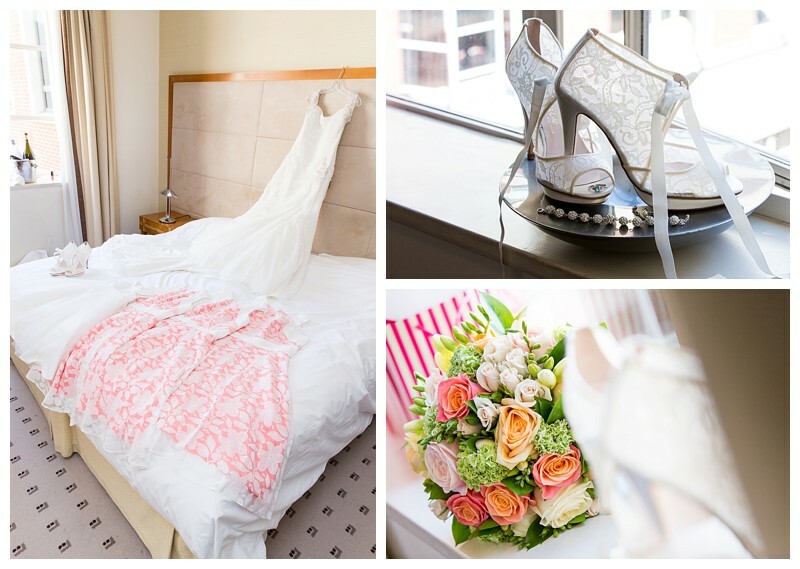 To see my prices, please click here: Wedding Photography Prices for London.